Dennis Nechvatal makes strong and powerful images whether it is a meticulous landscape, still-life or a network of metal masks. At first primitive in feel, they bid closer viewing and slowly convert into sophisticated reinventions of the natural world. The artist's Offerings series feature abundant floral bouquets lush with delicate brushstrokes. 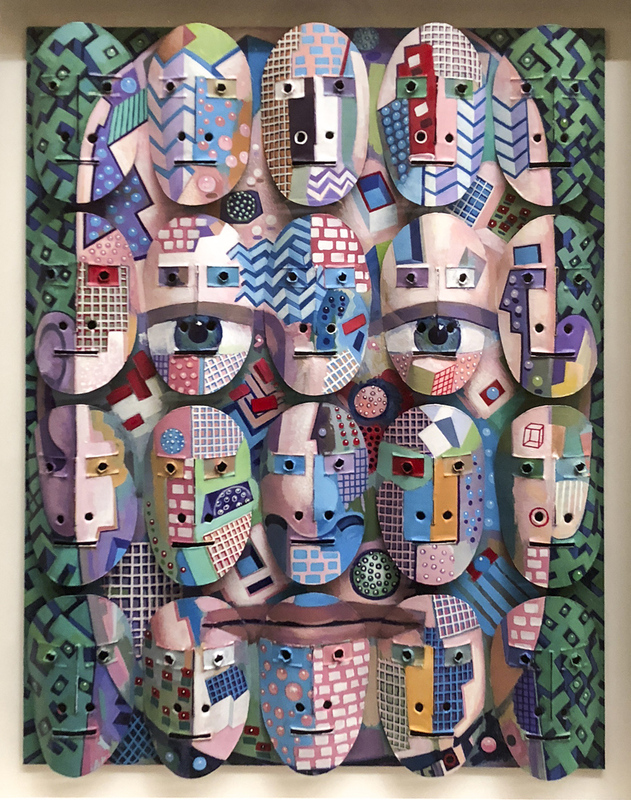 His popular Face/Mask paintings reveal layers of faces within a collage of hand-cut and hand-formed tin masks. Art Institute of Chicago; Milwaukee Art Museum; Madison Museum of Contemporary Art; Chazen Museum of Art, UW-Madison; UW-Madison Hospital; Midwest Express Center, Milwaukee; Rayovac Corporation, Madison; Chemical Bank, New York; AT&T, Chicago; Arkansas Art Center, Little Rock.